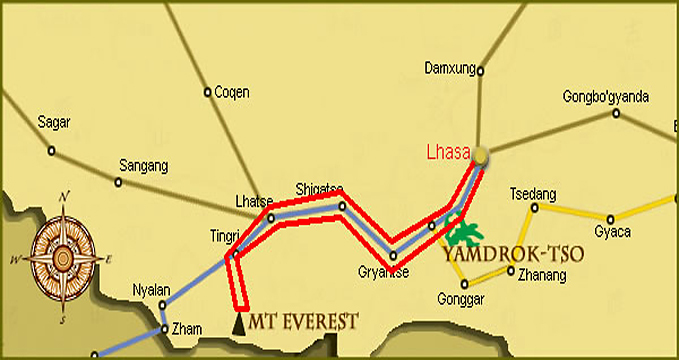 Arrival in Lhasa, Pick-up from Lhasa train station or airport and then transfer you to the hotel. Have a good rest in the hotel to better acclimatize yourself. 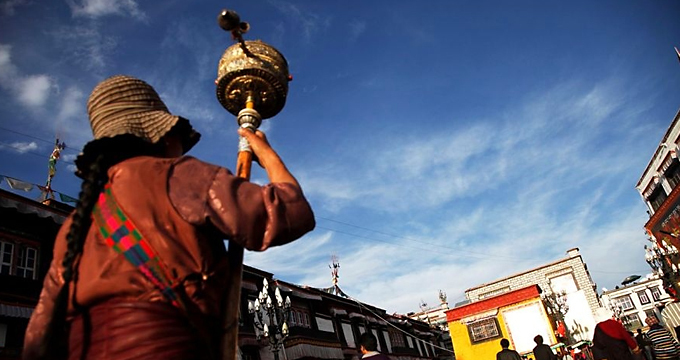 In the morning, visit the symbol or landmark of Lhasa - Potala Palace, the successive Dalai Lama's winter residence.In the afternoon,visit the center of Tibetan Buddhism - Jorhkang Temple, where you will come across lots of devoted pilgrimages coming from every corner of Tibet. Both sites are under the list of the world cultural heritages by the UNISCO. Visit Barkhore Street. 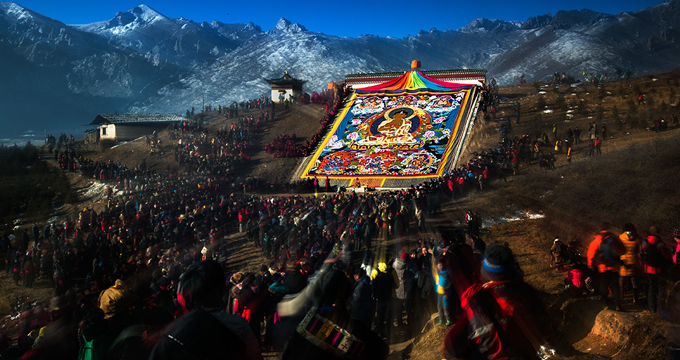 Wake up early, if you like, to experience the most zealous enthusiasm of Tibetan people's faith towards Buddhism, because today is the first day of Shoton Festival, and people will wake up very early to rush to Drepung Monastery in order to get a good position to view Great Buddha exhibition show. 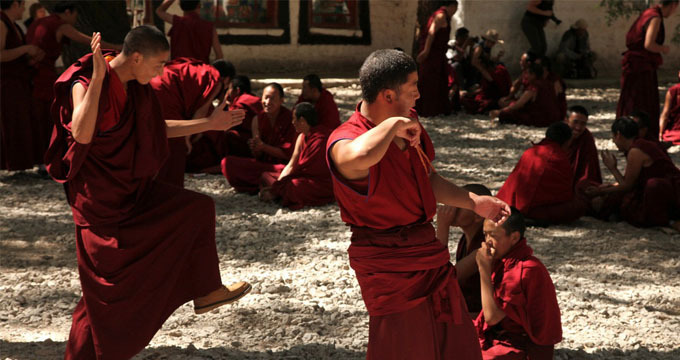 In the afternoon, drive you to see Sera monastery, the very exciting Buddhism scripture debating among lamas will go on there in the afternoon. In the moring we will firstly drive to Ganden Monastery that is 65km away from Lhasa city. 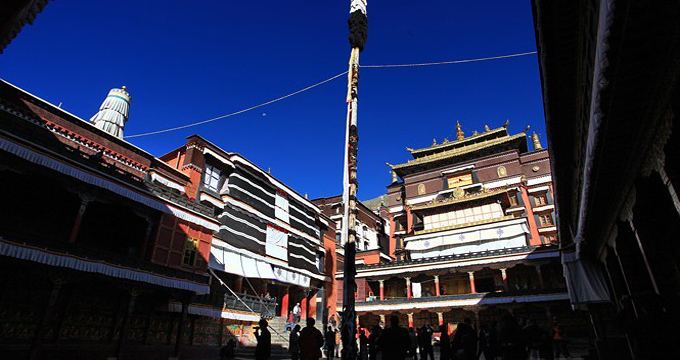 The monastery is the ancestry monastery for the Gelug sect of the Tibet Buddhism. 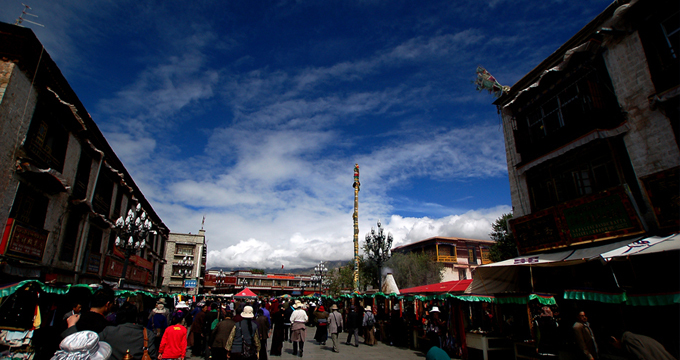 Now Gelug sect is the most influential sect of Tibet Buddhism. The valley where the monastery located is very beautiful , we will do a short trekking ( 2 hours) there. 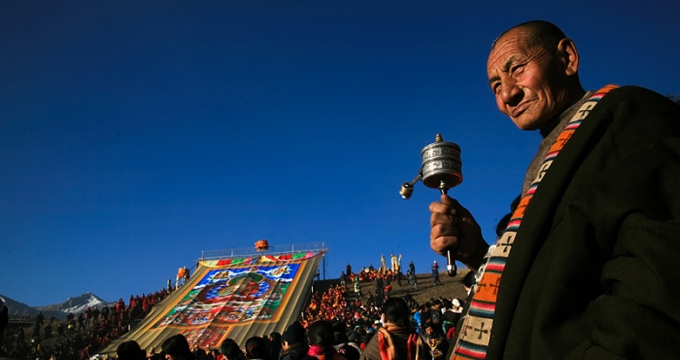 In the afternoon, we drive to Norbulingka Park to watch the interesting Tibetan Opera Show. 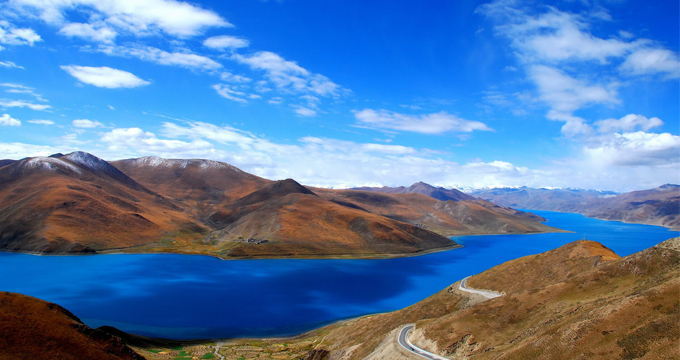 Drive to the historic town of Gyantse via the turquoise Holy Lake of Yamdrok, according to local mythology, Yamdrok Lake is the transformation of a goddess; in distance you can also see the snow capped Summit of Ninjingkangsang. In Gyantse, you will find the largest stupa in Tibet - Kumpa Stupa (Ten-thousand stupa), just next to the Stupa is the Pelchor Monastery (Optional). Another important site in Gyantse is Dzong Castle which once was a battle field where Tibetan fought against British invasion. In the morning after breakfast, our guide will go to tourism bureau in Shigatse to apply for PSB permit for Mt. Everest, which will take about 1 hour. After obtaining the permit, we will drive directly towards Mt. Everest. On the top of the Gyalpo-la pass you can see 4 of the highest mountains over 8000 meters (Mt. Everest; Mt. 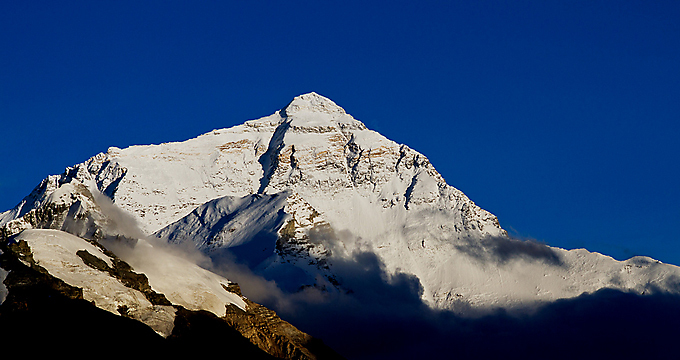 Makalu; Mt. Lotse; Mt. Cho Oyu) in the world at the same time, what a great picture. Before arriving at the EBC, you will first visit the highest monastery in the world - Rongbuk Monastery, which is also a good position to watch the Everest, the sunset view is fantastic when weather is good. Activity today: Wake up early in the morning to view the very fantastic sunrise over the peak of Mt. Everest. After breakfast, you will have opportunity to hike at the EBC to discover the charm of the highest place you may reach through your life, if you think hiking is too tough, you can just take the green bus to the EBC. 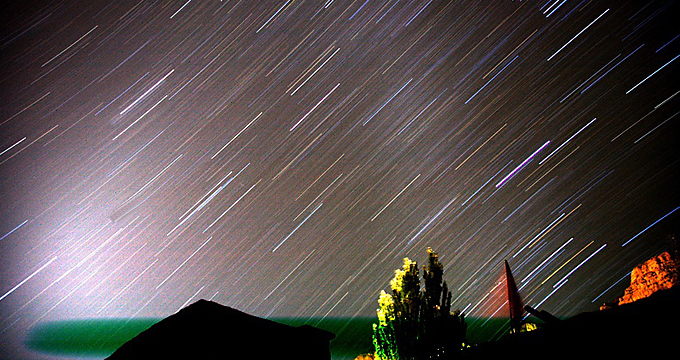 And we will drive back to Shigatse this night. End of the tour. 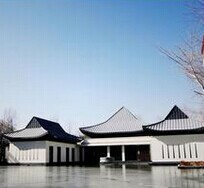 Transfer to the airport or railway station and leave Lhasa.